Syracuse Builders Exchange is the largest construction industry association in the state of New York. If you're looking for a builders exchange near Auburn, NY, Syracuse Builders Exchange offers the member benefits and services you're looking for. As a member of our builders exchange near Auburn, NY, organizations benefit from a variety of services that are exclusive to members. 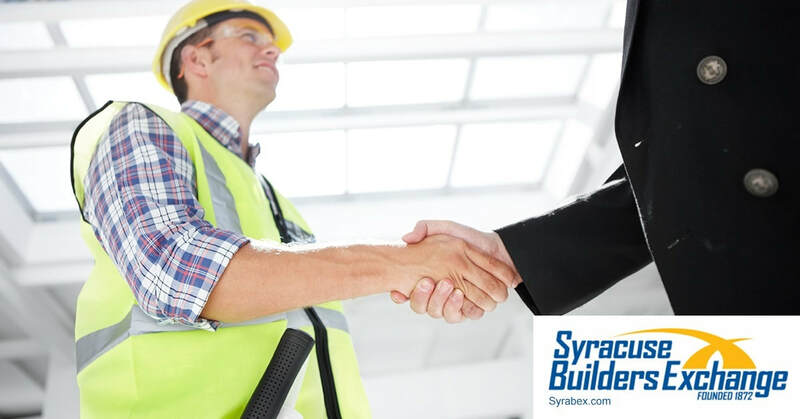 Syracuse Builders Exchange provides member services that reduce costs, and streamline the process for obtaining construction leads. The Syracuse Builders Exchange electronic plan room makes the search for construction leads more efficient and effective. With our electronic plan room, you can easily sort construction bids by bid date. You can also sort by project type, or find projects that meet certain requirements. This makes it quick and easy to find the right construction projects for your organization. The electronic plan room also provides all the details and specs you'll need for projects out for bid. If your awarded a project, the electronic plan room also makes construction project management easy. The electronic plan room provides addenda, bid date extension, apparent lows and contract awards all in one central resource. When you join Syracuse Builders Exchange, you get member-exclusive discounts on the things that matter most for your business. In addition to the above member services and exclusive discounts, joining our builders exchange near Auburn, NY comes with member benefits and networking opportunities.